Today’s news review looks coverage of an analysis of pupil deprivation in schools. Today education data company SchoolDash published analysis comparing the number of disadvantaged pupils in each school with the local level of poverty. 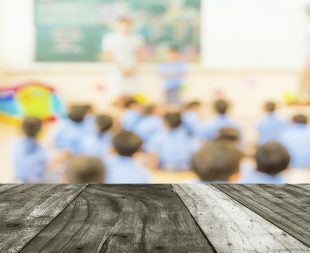 The report suggests that children from working class families are less likely to go to a high-performing school, including those living in the catchment area. This has been covered by the BBC Online, the Telegraph, and the TES. It is important to note that, thanks to our reforms, 1.4 million more children are in a good or outstanding school than in 2010 and the attainment gap between disadvantaged pupils and their peers is narrowing at primary and secondary level. ‎The whole purpose of our reforms to the education system over the last six years has been to improve educational opportunities for those children from poorer backgrounds. There are now over 1.4 million more children in good or outstanding schools than in 2010 and the attainment gap between disadvantaged pupils and their peers is narrowing at primary and secondary level. The focus on phonics in primary schools is to ensure all pupils leave primary school as confident readers. The new maths curriculum is designed to develop pupils' fluency in basic arithmetic and to ensure all children know their times tables by the age of 9. The EBacc performance measure was introduced to raise expectations - particularly in those schools that enter a lower proportion of disadvantaged children for GCSEs in the core academic subjects, which are the very subjects that lead to wider opportunities. The Pupil Premium has resulted in over £11 billion in funding provided to tackle educational inequality and we are committed to doing more to help the most disadvantaged pupils succeed.